A HARDY TAIL Popular beavers in Martinez set a game-changing precedent for a new family of dam-builders in Glen Ellen. In the mid-1990s, a family of beavers found their way up Sonoma Creek and settled in Glen Ellen. Although they were the first beavers that had been seen here since the animals were extirpated decades earlier, they got the same welcome that is traditionally offered to beavers: they were trapped and killed. But recently, dams have again been observed in Sonoma Creek, and evidence suggests that some intrepid beavers have jumped watersheds and are headed toward the Laguna de Santa Rosa. The beavers are back, and this time, they just might get a fair chance. "Back in the '90s," says Brock Dolman, Watershed Advocacy, Training, Education and Research Institute director at the Occidental Arts and Ecology Center, "there was no functional recognition that beavers were anything but a pain in the neck." The Glen Ellen beavers became a pain in the neck when they felled 50 grapevines—Merlot, but still—with their famously effective incisors. The few people who protested the action could do little but complain after Fish and Game issued a routine depredation permit and the deed was done. To the beavers' disadvantage, they're listed as an exotic, nuisance animal only because of a brief period from the 1920s to the 1940s when the state "planted" beavers from Oregon and Idaho. But historical accounts from ship captains, explorers and General Mariano Vallejo tell of an abundance of beavers in North Bay waterways, and of heaps of beaver pelts shipped out during the California fur rush prior to 1849. The solution in Martinez was simple. A flow device was installed that keeps the pond at a manageable level, while concealing the sound of flowing water. "The thing about beavers," says Dolman, "is they're a big rodent. They are nature's great engineers—but they're not that bright." In one experiment, a boom box was placed near a dam, playing a loop of running water. Sure enough, beavers soon appeared and began piling mud and sticks on it. 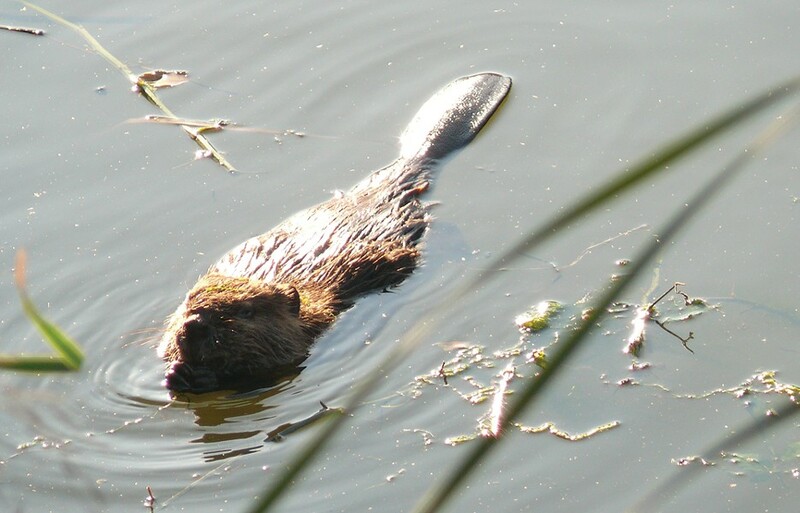 In Martinez, it isn't just about beavers anymore. When the pond filled with fish, river otters returned to the area. Mink also turned up, along with a host of waterfowl and songbirds. That kind of result could improve habitat for the North Coast's federally endangered coho salmon, says Dolman. "Having grown up in Idaho and back East, I loved to fish in beaver ponds because there were a lot of fish in there. So I got to thinking: Why aren't we talking about beavers?" While state agencies and landowners are trying to slow down stream flow and erosion with costly projects, "beavers can do it better, faster and way cheaper." Dolman's organization was invited to contribute beaver language to the 2012 Coho Recovery Plan. If beavers pop out of the creek into another vineyard, it may not play out the same as last time. In Siskiyou County, Dolman says, the Department of Water Resources had requested a trapping permit almost annually for 30 years, because beaver activity interfered with a data collection point. "Two years ago, they were doing the same thing, and the biologist said, 'Wait a minute, we've got to talk about this.' They had a community meeting, created a beaver technical group, and for the first time the DWR didn't get that permit." Beavers can be excluded from an area easily, according to Perryman, with a half-foot high, solar-powered electric fence. At Glen Ellen's Hunter Farms, vineyard manager Chris Bowen says that trapping is something he "certainly would not be party to again. We decided that beavers aren't great climbers, so we just improved the bottom of our fence that already existed." It's worked so far, Bowen says. If beavers can provide some of the environmental services that we need anyway, Dolman suggests, we ought to allow them to. "And they're doing it for free. In these economically restrained times, why wouldn't we think of partnering with them, if it's benefiting us overall?"